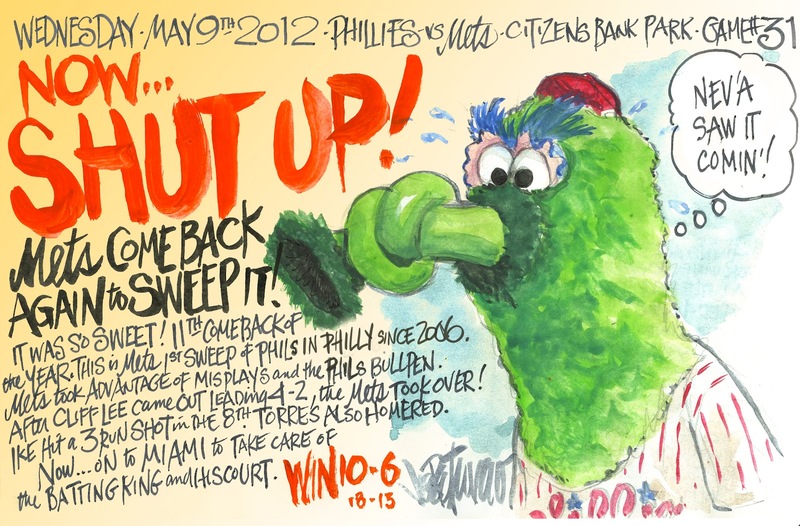 My Mets Journal: NOW....SHUT UP! One minor correction: it's the Mets' first sweep IN PHILLY since 2006. But we've swept them as recently as May 25-27, 2010, at Citi Field. Surely you remember that series - the mighty Phils lineup couldn't even squeeze out one run in any of the three games. Anyway, I love your stuff, Joe - keep up the amazin' work! Thanks sometimes my hand writes faster than my brain. Of course I remember 2010. Looking forward to the miami series - it will be interesting to see if it still fills up with Mets fans the way it did in the old park. Either way, should be a good series... With those dimensions - and the Mets putting out Santana, Dickey, and Niese - we should see some great games. This Philly series served as an escape after watching the Knicks take their beating. It was funny because the Knicks are a legit playoff team - but down 3 or 4 possession at the end of the 3rd quarter, you already knew it was over. With Mets - down 4-2 at the top of the seventh, I just felt like they were in the game. It has been a LONG time since I had confidence in the team and its players. Two outs with men on, and you want any number of guys at the plate (Duda, Wright, Murphy, Neuwy, Tejada, Turner, Torres, Hairston....)- they are all getting it done. Told Ya Joe! The Mets were due for a sting of wins and they rid it in style! Thanks again for the recap. 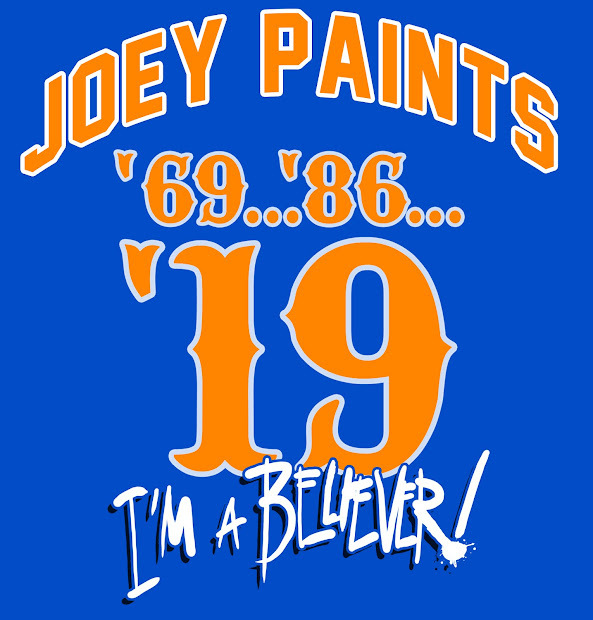 And WTG METS!!!! This is so clever and hilarious! I love what you did with the Phanatic's snout.